canela de Ceylán, Gr. kinnámomon, L. Cinnamomum zeylanicum, Ar. qurfa, Heb. quinamom, ME candel, kanel(e), Eng. 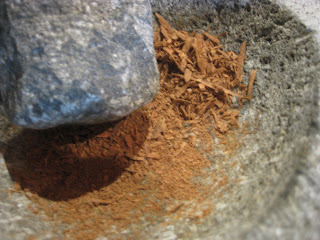 cinnamon, Ceylon cinnamon (today Sri Lanka). 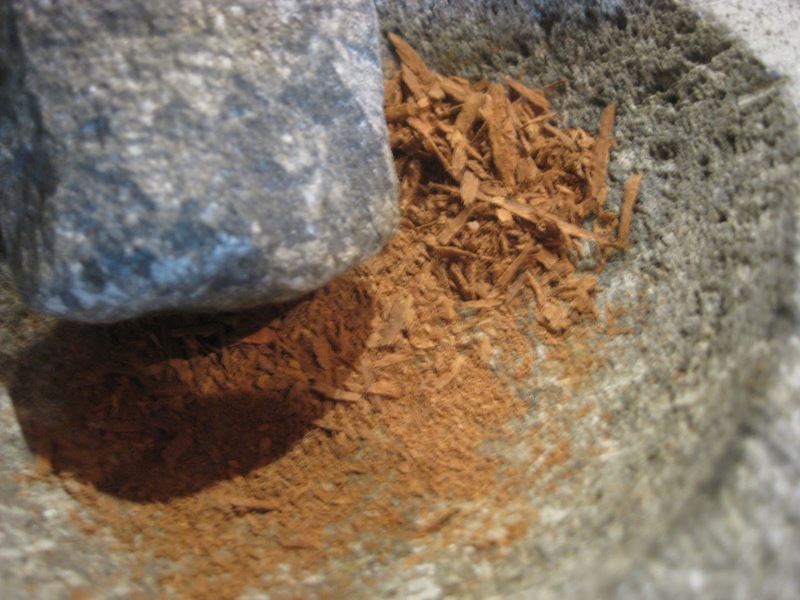 It is one of the oldest spices known, obtained from the bark of evergreen trees and shrubs growing in Ceylon (today Sri Lanka), Taiwan and Indonesia. Today, it is cultivated as an evergreen shrub. It grows in wet areas along sandy riverbanks. During the rainy season, the bark is stripped off easily in single strips. It is then rolled and left to dry in the shade and then put in the sun. When taken to market this light brown, soft bark looks like cigars. It has a delicate taste. When ground, it must be used immediately for it looses its flavor quickly. 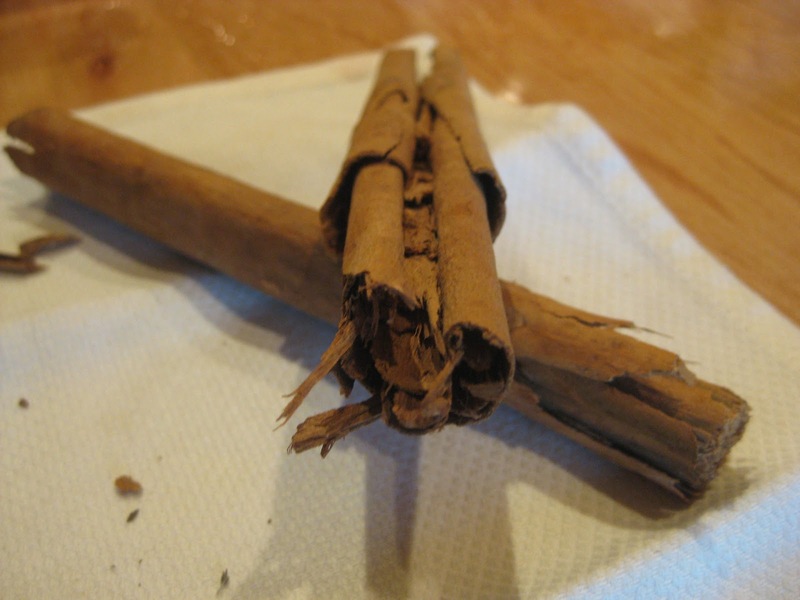 Although not shown on the labels, store bought ground cinnamons contain preservatives with gluten. 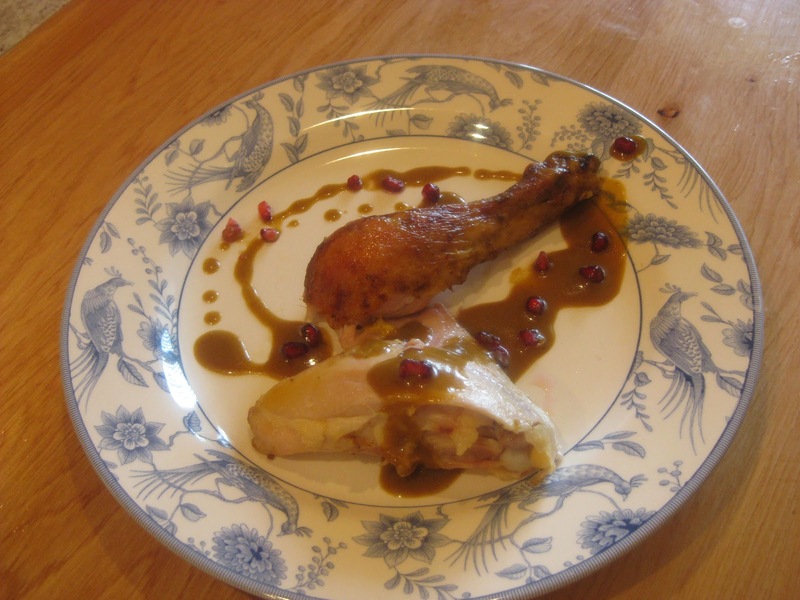 A Hen that Melts in Your Mouth! Clean hen, inside and out. With a knife make holes in the breast and thighs. Grind the cinnamon and the lavender in a mortar then add the other spices in the same order as above. Pour this into a food processor with the olive oil and Byzantine murri and grind until it takes on a saffron-orange color and the mixture is smooth. It tastes terrible! Take a spreading knife and smear the hen inside and its back. Flip it over on aluminum wrap and spread the sauce on the breast, wings and legs. Tightly close all sides of the aluminum foil and roast. Roast about 1 hr. Open the aluminum wrap the last 15 minutes to brown the breast and thighs. Now it tastes heavenly and the meat is as tender as butter. Scrap all the drippings from the roasting pan and aluminum foil into a saucepan. Soak bread in vinegar and add it to the saucepan. Stir to blend the bread into the drippings. Add 1 c broth and continue stirring until all is combined. Boil gently to obtain the desired thickness.